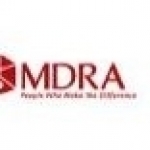 Marketing & Development Research Associates (MDRA) is having opening in market research profile. Your profile can be taken into consideration. Aspirants having exposure in Primary as well as secondary research. Position - Senior Research Executive. - Assisting Managers in entire project life cycle.